Happy Friday everyone! 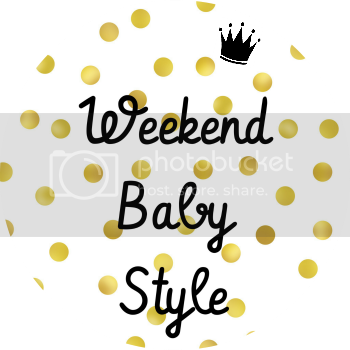 I know it's been a while but back on to the side of a name change...I'm thinking Weekend Mini Style instead of Weekend Baby Style. It's not much of a change but I think it'll help people still find us easily enough. What do you all think? I really really love these leggings. They were given to us by our lovely friend Steph at Chalk Kids because Finlay had grown out of them before he could even wear them. Lucky for Isla! Thank you Steph! I love a triangle print and the fact that these are monochrome make them even more up my street. Still loving the Next sandals. They literally go with everything. This is another dress from our multi buy from Next last week. Who doesn't love a stripe? These dresses have such a lovely fit and shape to them. They also look super comfortable. I wish they did them in adult sizes. Isla's bib is a gorgeous floral print from Max & the Star. Definitely check them out on Instagram. They have such lovely bits and bobs for sale and have started doing on off custom rompers too. 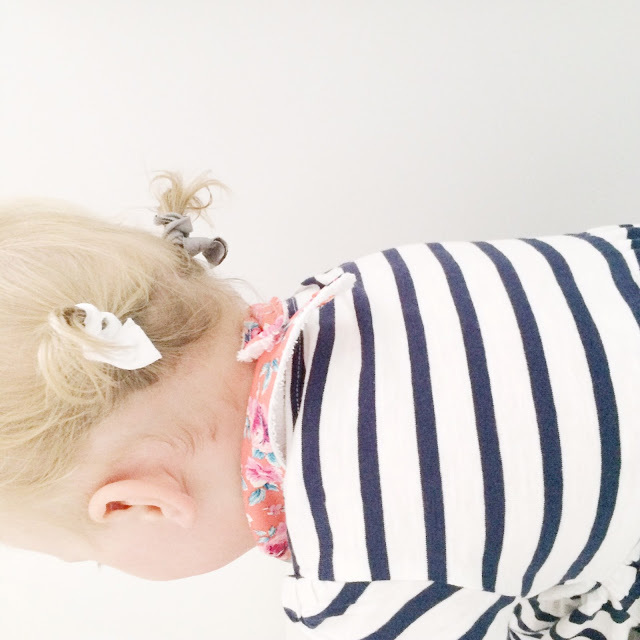 And I finally got her hair in pigtails! 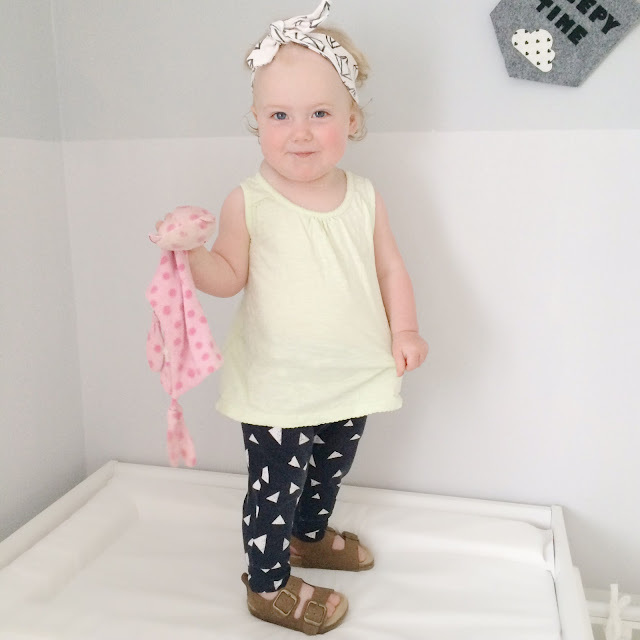 I'm a total mint Green obsessive so this gorgeous outfit over on Mums Blind Love was right up my street. 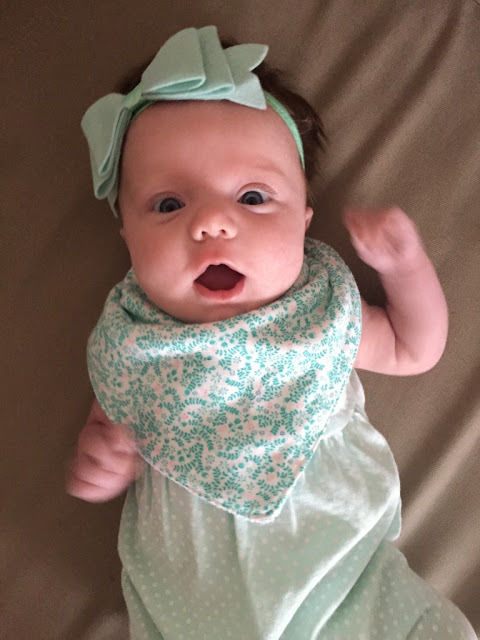 How gorgeous is that bow and bib? And what a cute expression! I think your right about the name change, there are quite a few toddlers who link up aswell as babies so I guess the new title would appeal to everyone. 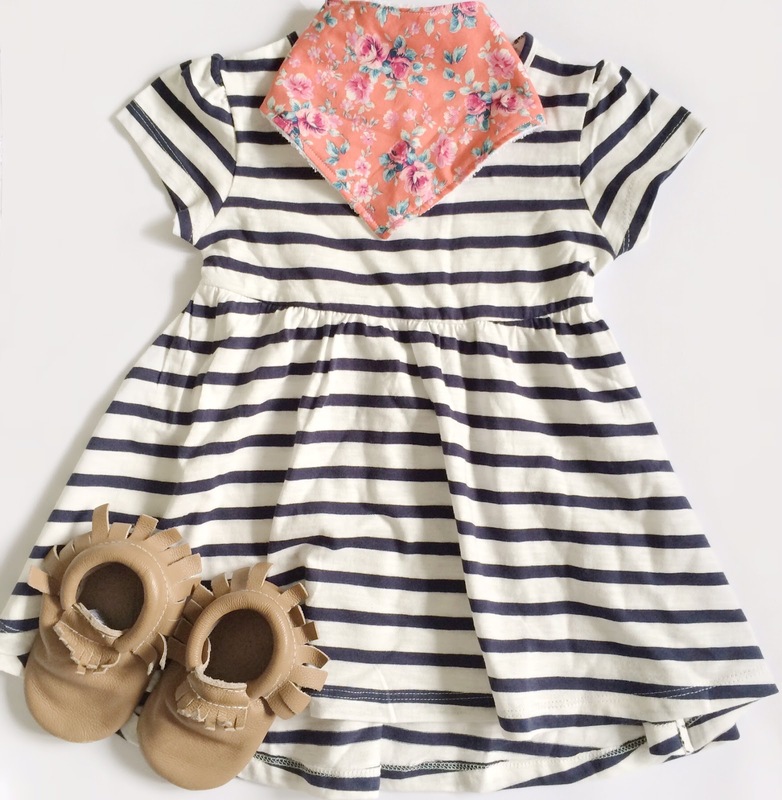 I love the striped dress on Isla it makes her look more grown up, I think I have a very similar dress in my wardrobe. Love the bib aswell, it's nice and girly. 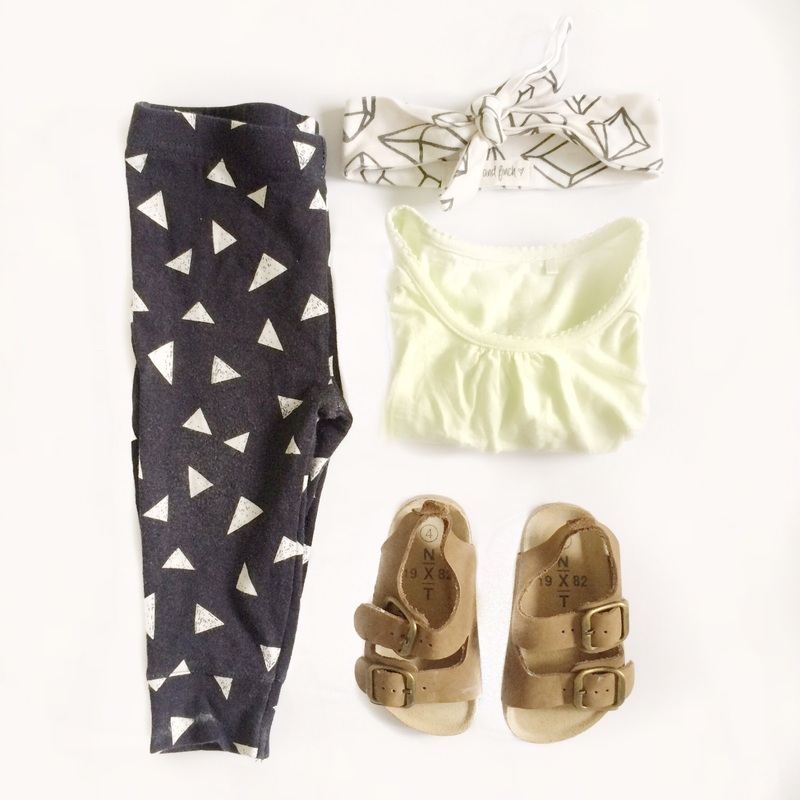 The first outfit is great, it's lovely when clothes get passed around and those sandals are fab aswell. Love the new name! 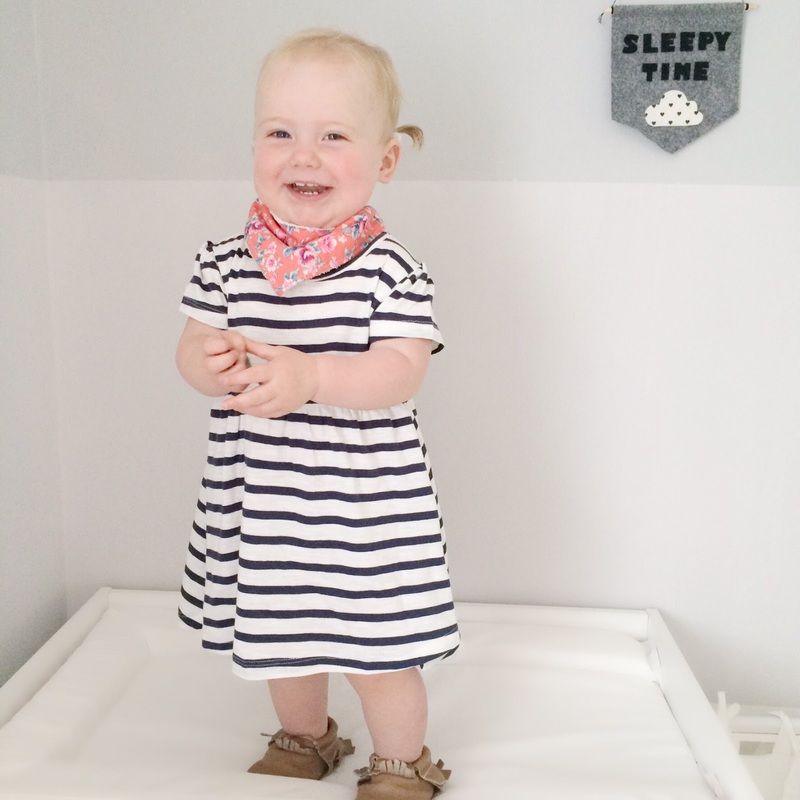 How sweet does she look in those little pigtails?! I love the floral bib so much, and the go great with the striped dress! 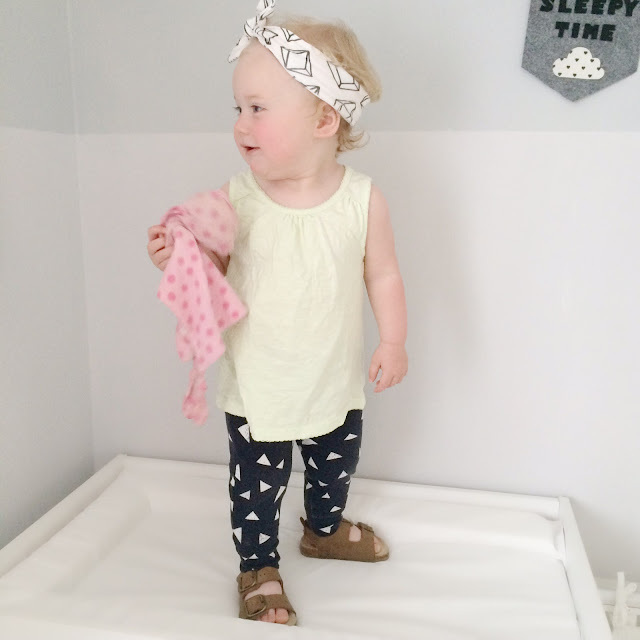 love the name change, and love the leggings and sandals too! The new name sounds perfect, it's good to be similar to the original, should be a smooth transition! Aww cute outfits! Wish M would keep things in her hair! Ohhhh my gosh my heart totally melted. 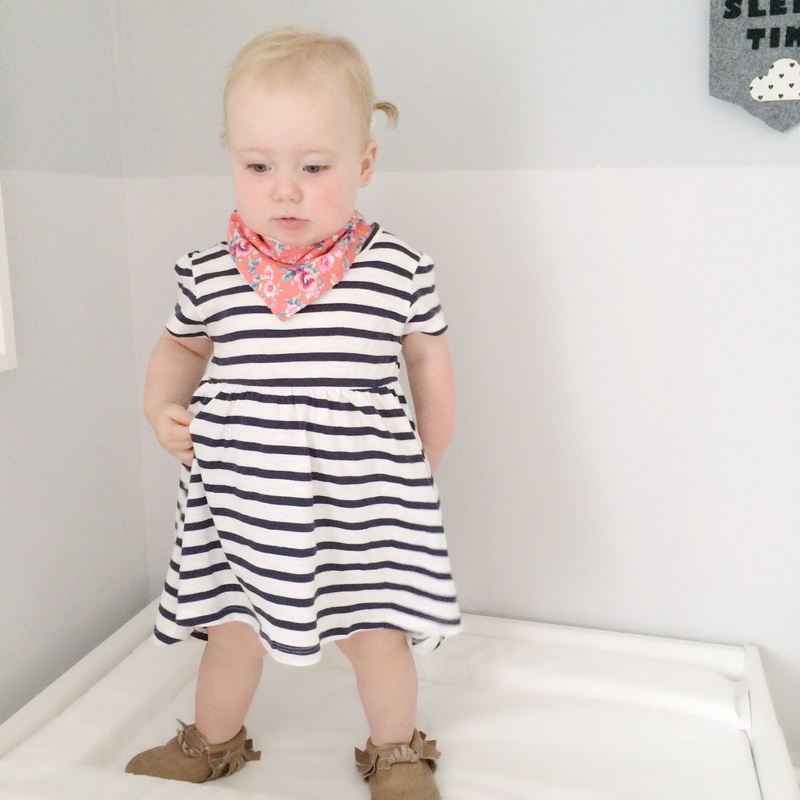 Trendiest outfits! I love the first outfit the best. I completely forgot to link up to your linky this week damn it! Will remember next week.